Costa Rica has among the greatest diversity of fauna in the world. From Mammals, Lizards and Amphibians, Insects and Reptiles to the richest marine life on its Caribbean and Pacific Oceans and many streams, rivers and lakes. Costa Rica is one of the best places on earth to explore and experience wildlife in its most concentrated form in terms of biodiversity within a relatively tiny space. 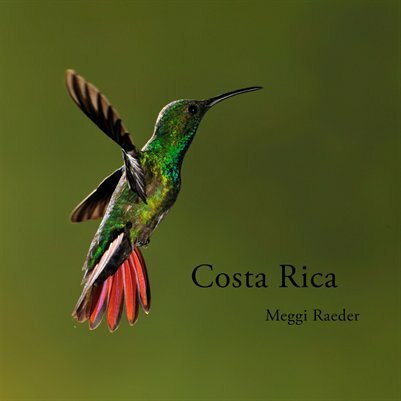 The images in this photo book include Hummingbirds, frogs, lizards, iguanas and much more.